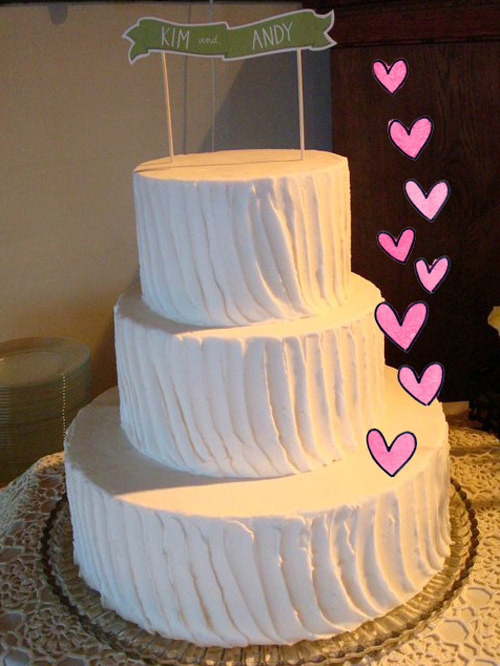 When it came time to get married, I didn't have a single wedding cake. 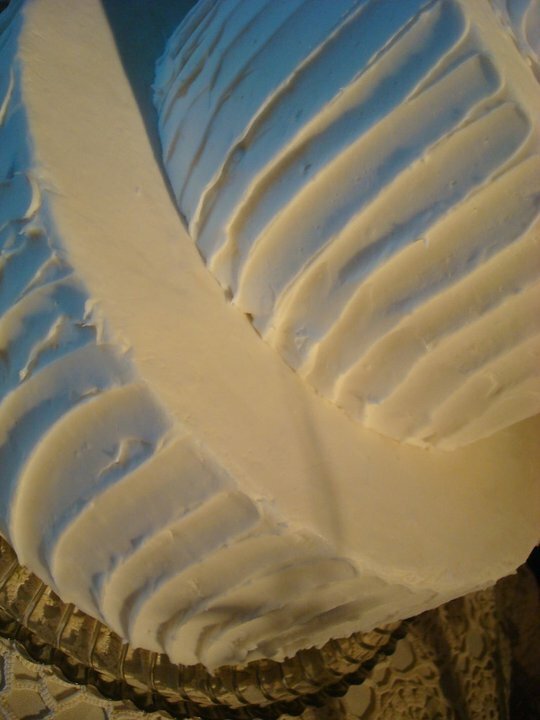 But my second favorite, which was obtained from a retail baker, was from Morfey's Cakes in Seattle. 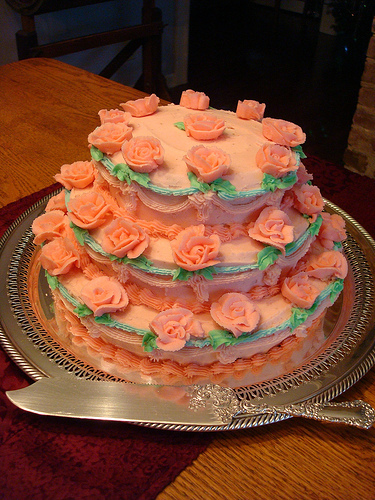 It was a three-tiered confection, frosted in Tiffany blue and piped with a delicate white. It was lovely, and it was delicious. 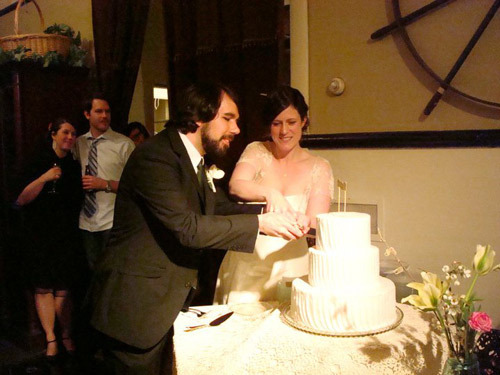 So it should come as no surprise that they are one of about six places in Seattle which I frequently suggest to couples asking for wedding cake advice. The Morfey's Cake, it should be said, is not an incredibly fussy affair. If you're looking for a cake with lighted effects or molded fondant to resemble the building where you met, this is probably not where you want to go (there is definitely a time and place for these cakes, of course!). But if you're looking for a solidly good, fluffy, old-school cake with a light, almost whipped-texture type frosting, you're in the right place. I love their simple, homey decorating style too--it looks like something that a home baker could aspire to, but, you know, it's better than you could probably do at home (no offense). And, it doesn't hurt that when you walk into their baking space in the shadow of the Space Needle in lower Queen Anne, it smells like you are walking into a cake being baked--that is to say, sort of like how I would imagine heaven to be. When Mr. Spy and I attended a wedding this weekend, for the lovely Kim and Andy, we were delighted to see that they had obtained their special-day cake from delicious Morfey's. This baby had three tiers of awesome: Kim, who emailed me from Paris, where she was eating a croissant on her honeymoon (lucky girl!) says that "The top 2 tiers were coconut cake with white mocha filling, the bottom was chocolate with chocolate mousse filling, then buttercream frosting on the outside!" So, this is all to say--if you're looking for a wedding cake in Seattle, definitely put Morfey's on your list for a tasting. For more information, visit morfeyscake.com.